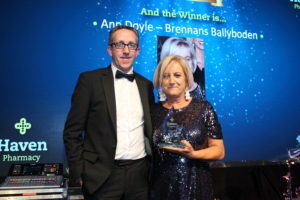 We hosted our 5th Annual Awards night on Saturday 24th November in the Rochestown Park Hotel in Cork. 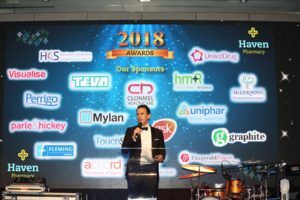 The night welcomed over 230 guests from Haven Pharmacies across Ireland as well as many of Haven’s Commercial Partners. 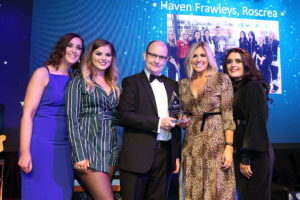 This very special and much anticipated night celebrated the hard work, dedication, superior customer service, professional excellence and care demonstrated by independent Haven pharmacies throughout the Group. 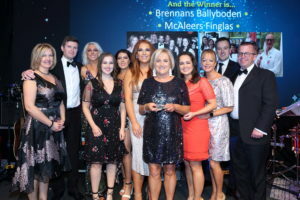 A total of nine awards were presented on the night: Haven Rising Star, Haven Professional Services, Haven Digital Media Leader, Haven Pharmacy Technician, Haven in the Community, Haven Community Pharmacist, Haven Ambassador of the Year, Haven Customer Service Team of the Year and Haven Pharmacy of the Year. 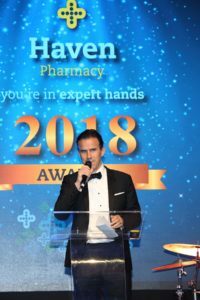 Indepharm Co-Op and Haven Pharmacy Chairman Keith Brennan thanked the Haven family on another successful year for the Group. 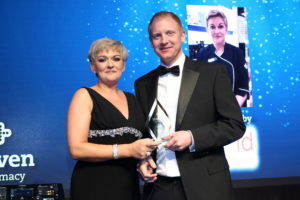 He referred to increased margins and turnover but focused on the dedication of the Haven teams in the pharmacies delivering exceptional care on a daily basis as well as their steadfast community spirit. 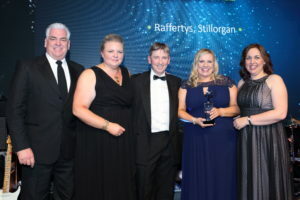 Keith emphasised that it was this community spirit that underpinned Haven’s partnership with the Irish Men’s Sheds Association and sparked the various fundraising activities throughout the year. 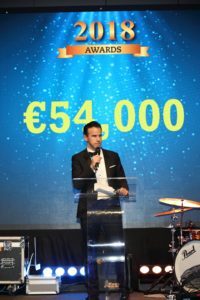 He praised the teams on raising more than €54,000 for charities including Temple Street Children’s Hospital, Irish Cancer Society, Jigsaw and the Beaumont Hospital Foundation in 2018. 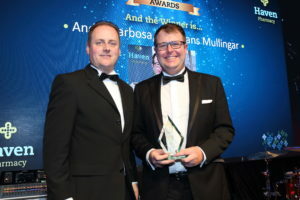 Mr. Brennan concluded by extending thanks to all the sponsors for the event: Clonmel Healthcare, Accord Healthcare, Fitzgerald Power, HCS Business Solutions, Graphite HRM, GSK Ireland, Reckitt Benckiser Ireland Ltd., Teva Pharmaceuticals, Uniphar Retail Services, United Drug, Fleming Medical, HMR Ireland, Mylan, Parle & Hickey, Perrigo, Sam McLernons, Touchstore and Visualise. 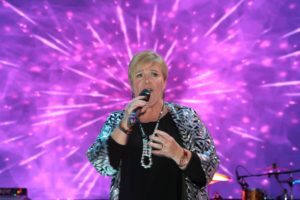 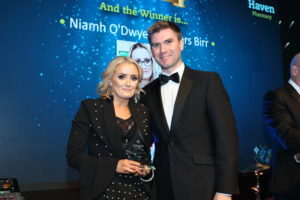 Mary Byrne, of X Factor fame, wowed the audience with a lively and engaging performance and Niall Rynne was the MC for the night. 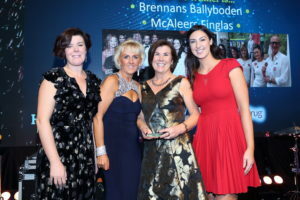 Over €2,000 was raised on the night for the Palliative Care Unit at Kerry General Hospital. 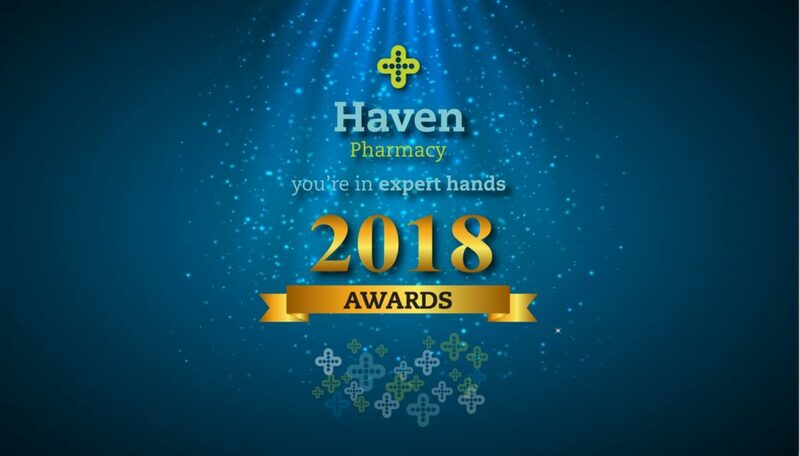 Haven Pharmacy of the Year – Haven Pharmacy Raffertys, Stillorgan Shopping Centre, Co. Dublin sponsored by Clonmel Healthcare Ltd and presented by Barry Fitzpatrick. 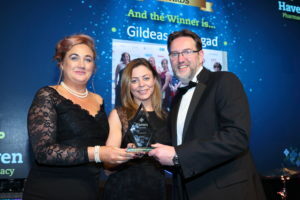 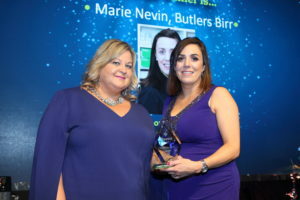 Haven Community Pharmacist of the Year – Niamh O’Dwyer, Haven Pharmacy Butlers, Birr, Co. Offaly sponsored by Reckitt Benckiser Ireland Ltd and presented by Ciaran Woods.